Summary: There are two kinds of people. Those willing to admit mistakes, and those who will not. World-renown scientists James Lovelock has passed the test and shown himself a member of the first group. Despite the pressure to profess the anthropogenic climate change dogma, he acknowledged the recent stabilization of temperature. Considering his past alarmism, that took greatness of character. The problem is we don’t know what the climate is doing. We thought we knew 20 years ago. That led to some alarmist books – mine included – because it looked clear-cut, but it hasn’t happened. … The climate is doing its usual tricks. There’s nothing much really happening yet. We were supposed to be halfway toward a frying world now. … The world has not warmed up very much since the millennium. Twelve years is a reasonable time… it (the temperature) has stayed almost constant, whereas it should have been rising — carbon dioxide is rising, no question about that. … We will have global warming, but it’s been deferred a bit. It’s not easy (for examples see the FM Reference Page Smackdowns – corrections & rebuttals to FM posts). Locklock’s admission is impressive considering his past warnings about the approaching climate catastrophe. This article is the most difficult I have written and for the same reasons. My Gaia theory sees the Earth behaving as if it were alive, and clearly anything alive can enjoy good health, or suffer disease. 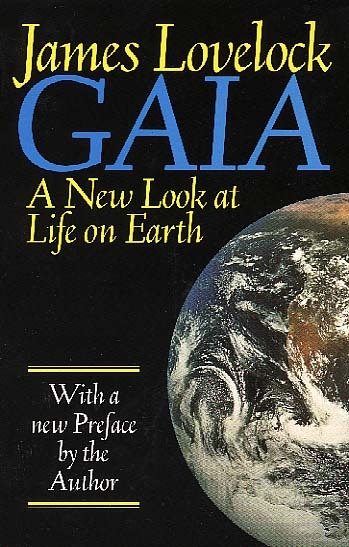 Gaia has made me a planetary physician and I take my profession seriously, and now I, too, have to bring bad news. The climate centres around the world, which are the equivalent of the pathology lab of a hospital, have reported the Earth’s physical condition, and the climate specialists see it as seriously ill, and soon to pass into a morbid fever that may last as long as 100,000 years. I have to tell you, as members of the Earth’s family and an intimate part of it, that you and especially civilisation are in grave danger. Lovelock has been dispensing predictions from his one-man laboratory in an old mill in Cornwall since the mid-1960s, the consistent accuracy of which have earned him a reputation as one of Britain’s most respected – if maverick – independent scientists. Working alone since the age of 40, he invented a device that detected CFCs, which helped detect the growing hole in the ozone layer, and introduced the Gaia hypothesis, a revolutionary theory that the Earth is a self-regulating super-organism. Initially ridiculed by many scientists as new age nonsense, today that theory forms the basis of almost all climate science. … His latest book, The Revenge of Gaia, predicts that by 2020 extreme weather will be the norm, causing global devastation; that by 2040 much of Europe will be Saharan; and parts of London will be underwater. The most recent Intergovernmental Panel on Climate Change (IPCC) report deploys less dramatic language – but its calculations aren’t a million miles away from his. … Most of the things we have been told to do might make us feel better, but they won’t make any difference. Global warming has passed the tipping point, and catastrophe is unstoppable. “It’s just too late for it,” he says. “Perhaps if we’d gone along routes like that in 1967, it might have helped. But we don’t have time. All these standard green things, like sustainable development, I think these are just words that mean nothing. I get an awful lot of people coming to me saying you can’t say that, because it gives us nothing to do. … He dismisses eco ideas briskly, one by one. “Carbon offsetting? I wouldn’t dream of it. It’s just a joke. To pay money to plant trees, to think you’re offsetting the carbon? You’re probably making matters worse. … Lovelock believes global warming is now irreversible, and that nothing can prevent large parts of the planet becoming too hot to inhabit, or sinking underwater, resulting in mass migration, famine and epidemics. Britain is going to become a lifeboat for refugees from mainland Europe, so instead of wasting our time on wind turbines we need to start planning how to survive. We need a more authoritative world. We’ve become a sort of cheeky, egalitarian world where everyone can have their say. It’s all very well, but there are certain circumstances – a war is a typical example – where you can’t do that. You’ve got to have a few people with authority who you trust who are running it. And they should be very accountable too, of course. But it can’t happen in a modern democracy. This is one of the problems. What’s the alternative to democracy? There isn’t one. But even the best democracies agree that when a major war approaches, democracy must be put on hold for the time being. I have a feeling that climate change may be an issue as severe as a war. It may be necessary to put democracy on hold for a while. … I don’t think we’re yet evolved to the point where we’re clever enough to handle a complex a situation as climate change. We’re very active animals. We like to think: “Ah yes, this will be a good policy,” but it’s almost never that simple. Perhaps Lovelock will take the next step and apologize to those he lead into fear, even hysteria. I’ve done it, and it doesn’t get easier with practice. But it’s the right thing to do, however rare. Even in the illustrious history of the Society’s senior medal, first awarded to William Smith in 1831, it is rare to be able to say that the recipient has opened up a whole new field of Earth science study. 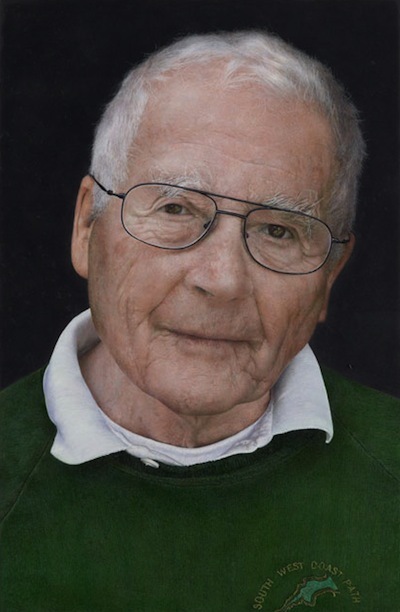 But that is the case with this year’s winner, James Lovelock. Lovelock does not lack for honours after his long and distinguished career in science. As well as more lately being created Companion of Honour and Commander of the Order of the British Empire, he became a Fellow of the Royal Society in 1974, and garnered many awards for his pioneering work in chromatography. Lovelock invented the electron capture detector for gas chromatography – an instrument whose exquisite sensitivity has subsequently been central to several important environmental breakthroughs. For example, during the 1960s it enabled the documentation of widespread dissemination of harmful and persistent pesticides like DDT, and later on the technique was extended to the polychlorinated biphenyls (PCBs). Lovelock himself famously used the technique to chart the ubiquitous presence of chlorofluorocarbons – CFCs – in the atmosphere, triggering the discoveries (by Rowland and Molina) of the harmful influence of CFCs on atmospheric ozone – work for which they received the Nobel Prize for Chemistry in 1997. He has also developed instruments for exploring other planets than our own, including those aboard the two Viking craft that went to Mars in 1975, about which I know he will tell us in a moment. 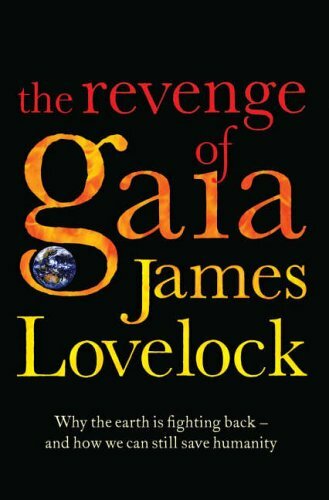 But Lovelock really came to high public prominence for the scientific concept that has captured the imaginations of Earth scientists, biologists and public alike – the concept for which we as geologists chiefly honour him today – the Gaia Hypothesis and Theory. This view of the planet and the life that lives on it as single complex system, in some ways analogous to a homesostatically self-regulating organism, is what has given rise to the field we now know as ‘Earth System Science’, also the most recently formed of this Society’s Specialist Groups.. It is hard to over emphasize the unifying nature of this holistic world view, which has broken down artificial disciplinary barriers that have existed since the late 18th and early 19th Century when Societies such as this were first formed, and the wonderful richness of insight that has flowed from the multidisciplinarity that has followed. This is especially so in the understanding of feedback loops between life and the environment, especially the dimethyl sulphide-cloud albedo-surface temperature (CLAW) hypothesis, and the whole idea that life coupled with its material environment regulates planetary temperature and chemical composition over long timescales by influencing rates of silicate weathering. His degrees, awards and prizes. Previous Post Convict labor, part 3 – We cannot plead ignorance. We do know. There is another article about Lovelock that make the point that while he has admitted an error he has not made it clear that he understands how he came to be in error in the first place. It seems he does not know much about the climate and is prone to making wild claims not backed by peer-reviewed data. Thanks for posting this great article! Lovelock is in good company. Making bold statement far beyond the known data and theory has become a commonplace in climate science. The UK Met office has severely tarnished its once-fine reputation by repeatedly making predictions that proved false. While I am all for the premise of this article, I find it highly suspect that the vast majority of deniers are Christian, who absolutely do not believe the principles of evidence, nor in changing their view based on new science. I also find it humorous that you would trumpet a man who “has no institution, no students, no tenure, and no lab” and one who “now works alone out of his house”. Perhaps you should’t filter everything you present with such obvious bias. He is 93 years old. In other words, he’s retired. His fame results from a long record of accomplishment (about which you appear ignorant), the reason his views deserve consideration. His willingness to admit a mistake is yet another demonstration of why he’s a leader among his peers. Perhaps you should do a bit of research before posting such a dumb comment. Continued from previous comment (I hit send too soon). Can you cite a source for this? Can you cite a source for this bit of ignorant prejudice? O’Kelly’s comment is a rich lode of folly. Denier of what? My guess, based on your comment (and others like it) is that O’Kelly cannot state this coherently and factually. You must realize that you’re just making stuff up, since you know absolutely none of the factors involved. The amount of ice melting, the amount of heat being released, how that compares to the Earth’s current energy flows, etc. Why do you think this kind of comment should be taken seriously? To mention one aspect, the current levels of ice melting are well within historical ranges, hence cannot be at a “tipping point” in the usual sense of the erm (or we’d have had such tipping points repetedly before). Oh dear. I never thought of myself as a troll. But you are just being gratuitously rude to one of your most ardent fans. Especially the ‘you must realize’ bit. I’m not making anything up. I’m just wondering if there isn’t now a sufficient total permafrost and glacier melt and sublimation as to have taken up enough latent heat of vaporization and the equivalent with the other H2O phase change (ice to liquid) as to cause a temporary plateau in the warming. Further, the quotations and examples you cite indicate that you have not understood me correctly – this may be because you assume I’m just a naive ardent believer in anthropogenic global warming, and am therefore making all the usual claims. I wish we could rate comments. Yours would get five stars. You raise several deep issues. Troll: an internet term for a person who, through willful action, attempts to disrupt a community or garner attention and controversy through provocative messages. You are not a troll. Not remotely like a troll. I apologize. I attempt to respond to most comments, which means they’re written rapidly. I meant that seriously, but it was rude. One reason to post anonymously (in addition to staying employed, and reduce worry about threats) is that helps leave those considerations behind. The FM website focuses totally on the goal of helping reignite the American spirit. I need allies, not fans. Support, not applause. We can sit around all day dreaming up possible shockwaves. It’s a waste of time to even speculate about. If you’re interest, look at Google Scholar and report back on the results. If nobody has studied it, then you need not worry about it. It’s not a silly idea, but life is short and our imagination is wide. I try to reply only to the text posted, and not guess about the writer based on a few words posted. (a) I dont’t see the connection between your comment about ice melting and possible falsification of AGW. (b) I know of no climate scientist who doubts the existence of AGW. The question is its magnitude. Attribution analysis seeking to determine AGW’s role in past warming, and modeling to determine its possible influencee on future climate. There is no “greenhouse effect”, except as a IMO not-useful metaphor — or marketing gimmick. The models (GCMs), like all large models, are a mass of assumptions. The theory might be perfect, but the parameters slightly wrong. Models are tuned to match the recent path. Lookup “parameterization.” Wikipedia is a good place to start. There is a massive (if inadequately funded and poorly conducted) effort underway on many fronts to understand Earth’s climate. Past, present, and future. Brilliant people working in a dozen different fields, studying the sun and the Earth — from the outer atmosphere to the deep oceans. Scientists are NOT saying guessing that “the climate is just doing its thang”. I don’t know anything about climate science except the rare article here and there. Question 1: Is the atmospheric CO2 increasing? Question 2: Has science demonstrated thru ice coring etc. that atmospheric CO2 increase accompanies an increase in global temperature historically over the eons? If the answer to both is no -then there has been a serious fraud perpetrated. To curtail the burning of fossil fuels even if dire predictions have not come to pass (yet). Somebody else can pursue the logic where 1 is true but 2 is false or vice versa. Am I missing something? Question zero: You didn’t ask this, but the world has been warming for roughly 2 centuries. The 19th century warming is clearly natural. The post-WWII warming is clearly anthropogenic (human-caused) to some extent — but attribution analysis is difficult given our limited data and understanding of climate dynamics. #1: Yes. Rising, and rising at an accellerating rates. But we’re altering the world in so many ways. Putting particles in the air, which may cool the world — and melt ice when they land and darken the surface. Massive changes in land use. #2: It’s an active area of research. Ice cores trap the atmosphere imperfectly, and the ice and air bubbles change over time. Getting precise records from this source is not easy. There are papers drawing contradictory conclusions. Over time there will be stronger results that get replicated. Only then will we have solid results which form a reliable basis for making public policy. Science advances on two fronts. New paradigns (must-read here is Thomas Kuhn’s Structure of Scientific Revolutions). And, even more important, new data. That is, science battles are fought on the frontiers of our ability to measure physical phenomena. That’s very true in climate science. Paleoclimate is a new and still immature field (as in the battles of dendochronology). Often the trends are smaller than the adjustments to the data (eg, in many long-term temperature records, and sunspot counts). Conclusion: extremists (seldom scientists) on both sides of the climate wars fight with dueling cartoons, neither of which closely match the actual debate. It will eventually sort itself out, like most of the great battles in the history of science. Fraud is not an issue. Fraud in this case implies conspiracy. In my view conspiracies are relatively rare – except where the Security-Energy-Finance-Industrial-Complex is concerned (to update Eisenhower’s ‘Military-Industrial-Complex, which he warned his fellow Americans about on leaving office). Because these people too often ‘conspire’, they assume everybody else is at it too. Whereas the likelihood is that most people, including climate scientists, are just muddling along, and cocking up occasionally. The good thing about science is that it is self-correcting. You cannot perpetrate a fraud (or more likely an error) for very long, because the facts get in the way eventually, certainly in the medium term, if not the short term. The fact that some scientists get emotional, calling each other names, and hanging on to their pet theories after their sell-by date is just an unfortunate aspect of the human condition. I agree with DMO’s comment, but have some quibbles. Fraud in science is quite common. That is, falsification of research — often in subtle ways. It’s a hot topic now, after several high-profile cases. But, as DMO says, eventually these things come out in the wash.
As for conspiracy theories, people work in groups. That makes society. Like-minded people coordinate their activities, and usually with in some degree of secrecy. The climate-gate emails (probably leaked by an insider, not “hacked”), showed scientists coordinating their efforts to advance their theories, pushing back (often hard) against those who disagree. That’s the way the game is played, pretty much by everybody. So we’re all conspirators. It’s a label with little substantive meaning. It’s no good saying a hypothesis which fails the test of useful application or confirmation by observation is a proper theory either. “Anthropogenic global warming may be on the point of falsification” is to take the wrong end of the stick. There is no “there” there to be disproved. I believe that’s inaccurate. It is proven beyond reasonable doubt that there are antropogenic influences on climate, many of which cause warming. And the world has been warming. Deciding the magnitude of the various anthropogenic factors is the subject at hand. Scientists have made progress, and will make more in the years to come.